Mediterranean Paleo Cooking | Paleo Recipes, GAPS Diet Recipes and More! 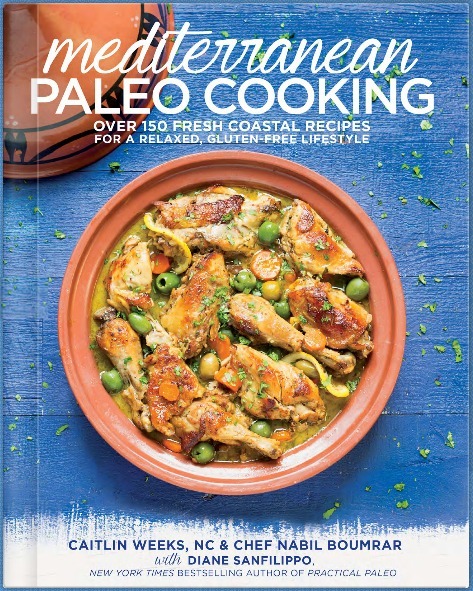 Mediterranean Paleo Cooking is an incredibly gorgeous book by Caitlin Weeks, and Nabil Boumrar, with Dianne Sanfilippo, New York Times bestselling author of Practical Paleo. I am really excited to get to share a preview of the new book with you here today! I don't know about you, but I LOVE to look at beautiful pics of healthy food that fits my dietary restrictions. Here is a book that will make you feel sorry for those who don't eat a Paleo or GAPS type diet! Page after page of mouth-watering looking photos that make me just about swoon--that is what this book offers! 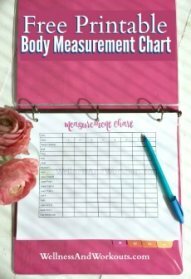 I love all the helpful and informative charts, graphs and resources. Much like in Diane's book, Practical Paleo. Like this picture index, above. And the Modifications Make These Recipes Really Workable! As if gorgeous pics and healthy, delicious recipes were not enough, the authors of this cookbook truly went the extra mile. They offer special modifications for for AIP (Autoimmune Paleo), Egg Free, Nut Free, SCD, GAPS diet, and Lower carb. How great is that?! 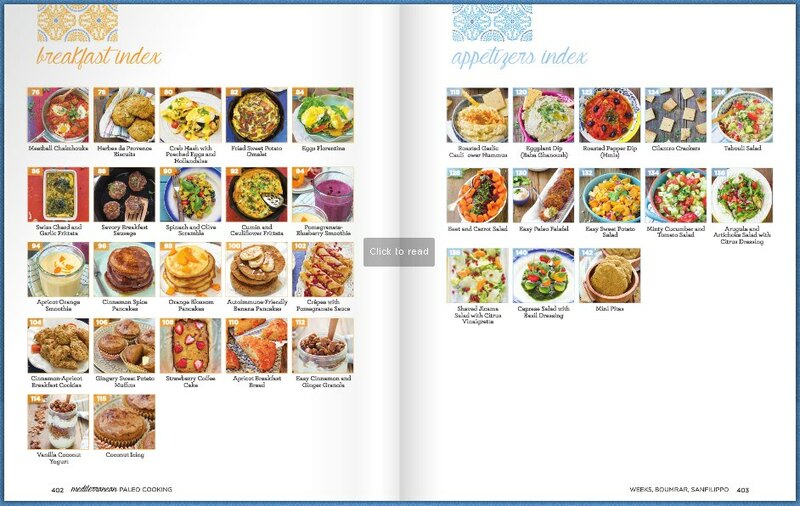 If you'd like to see a beautiful, full color preview of this amazing cookbook, you can click here to browse through it on Snackflip. You can learn a lot about the book this way. Be sure to come back and get your own copy of this brand new book, and breathe some new life into your cooking routine!